Lil Boosie Released From Prison or Nah? According to a report from WAFD, Rap Artist Lil Boosie was released from the Louisiana State Penitentiary in Angola Wednesday night. Angola State Penitentiary Warden Burl Cain confirms the rapper, who is legally named Torrence Hatch, was allegedly released at 7:10 p.m and transferred to a sheriff’s department facility in St. Francisville where family members were waiting for him. A native of Baton Rouge, the rapper has fans worldwide who have commonly used the term “Free Boosie” since his incarceration. 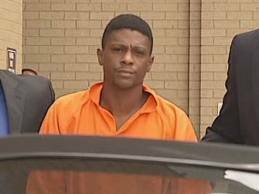 Boosie has been serving prison time on drug charges in 2009. The Louisiana Department of Corrections Wednesday afternoon had the rapper’s official release date listed as May 20, 2014. In 2012, the rapper went on trial for murder but was found not guilty. Prosecutors called more than two dozen witnesses in the trial but a jury rendered a verdict after just one hour of deliberating. He was accused of hiring a man to kill a local rap artist. He will remain on parole until 2018. Lil Boosie is scheduled to attend a news conference in New Orleans Monday, organized by Atlantic Records. So is it true? Is the rapper really free? I guess we will found out soon! aww snap #LilBoosieFree u better believe it!! Stayed tuned to Keishanicole.com for the latest updates and follow me on twitter at @KeishaNicole!